It's been awhile since the last installment of Zingers and since everyone has been beating down the doors to my email inquiring just when the next one's scheduled to arrive--yeah, right--I thought today would be a good day to revive the series. The rules? There's only one: The first line, or few lines, must grab the reader by the throat and make him need to read more. And one more thing. This edition of Zingers is exclusively comprised of short stories--an art form that is disappearing, but very much worth seeking out. Eric tingled as if he had touched a faulty light switch or had stepped on a snake. His skin felt cold. He shuddered. The opening line from David Morrell's "The Typewriter" has everything. It is vivid, exciting and extremely intriguing. It sets-up the story perfectly, and more importantly, demands the reader's forward movement into the story. Just before dawn, I wake up and listen to the hushed sounds from the room next to mine. When I hear these particular sounds at this particular time on a cancer floor in a hospital--three or four rushed whispering voices; faint squeaks of gurney wheels; and the elevator doors opening down the hall, eight floors down to the basement and the morgue--I know what's happened. The opening paragraph from "Riff" by Ed Gorman is a study in contrast with the "The Typewriter". It relies less on surprise--short action-oriented sentences that create unease--and more on an atmospheric forbidding and melancholy fear. It creates a shadow that creeps across the page and the reader and urges the story forward. Boiling through the helicopters open side hatches, the slipstream carried that particular stench of a dying city: burning wood, burning oil, burning flesh. James H. Cobb's story "Point of Decision" is representative of the best that military fiction has to offer--it is dark, pessimistic, fluid, intriguing, and scary. And the opening sentence captures the mood and momentum I look for in thrillers. "The Typewriter" was originally published in 1983 in Gallery of Horror, edited by Charles L. Grant. It can currently be found in David Morrell's excellent collection Dark Evening. "Riff" was originally published in Postscripts, Spring 2004. It is currently available in Ed's collection Different Kinds of Dead and Other Stories. Different Kinds of Dead is a collection every serious reader should not only have, but study on a regular basis. The stories range from mystery, to Western, to horror, and they all have the commonality of a terse, dark, and melancholy working class voice. And they are also very entertaining. "Point of Decision" was published in Martin H. Greenberg's anthology First to Fight in 1999, and is currently out-of-print. 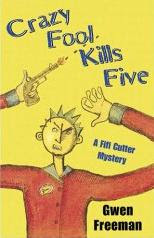 Crazy Fool Kills Five is the second mystery to feature independent insurance adjuster Fifi Cutter. When the novel opens Fifi finds herself with more time than work, so when her friend VJ offers her a paying gig as a document reader for Reg Wong--a local attorney who is trying a wrongful death suit that involves the hijacking and subsequent crash of a chartered airplane--she can't, as much as she wants to, turn it down. It doesn't take long for Fifi to discover that the case is more than a simple wrongful death suit, and it's not just the good-looking attorney across the aisle, either. What Fifi finds is more than she bargained for. She uncovers an ugly plot to extort, a cabal of double-dealing insurance companies, and murder. Crazy Fool Kills Five is a basic whodunit with a twist: Fifi Cutter. She is a study in sarcasm, dark wit, distrust, and anti-social behavior--she says, out loud, what the rest of us only think. Her unemployed brother Bosco acts as the perfect foil. He is laid back, cool, accepting and completely at ease with himself and the world. And the novel is at its very best when both are on stage. The mystery here is light and it takes a distant second seat to the flamboyant Fifi, but the plotline is entertaining and well-drawn--my only serious complaint about the mystery was the lack of early identifiable clues to the killer's identity. When the culprit was uncovered in the final scene my first reaction was: Who? But the lack of motive and reference really wasn't as significant as it could have been because the fun of Crazy Fool Kills Five is about the journey and Fifi's role in it. It doesn't hurt that the journey is a lot of good, sarcastic, and light-hearted fun. I've fallen hopelessly behind on the reviews I want to write for Gravetapping, so I decided to play a little game. I sat down with three novels I've read and enjoyed in the past few months and imposed a 150-word limit on each review. It probably took me longer than it would have to write my usual 350 to 500 word reviews, but I had a little fun doing it. And the amazing thing, I actually came in under the limit on each. Zero Cool is the second Michael Crichton--err, John Lange--novel Hard Case Crime has reprinted and it lived up to my lofty expectations. Peter Ross is an American radiologist who goes to Spain to speak at a medical conference and, more importantly, spend some quality time at the beach. Unfortunately his plans are irreversibly altered when he is approached by a nervous little man who warns him away from an autopsy--"If you do the autopsy, we will kill you." This ominous opening builds the foundation for a nearly perfectly executed wrong-man novel. Zero Cool really is cool. The dialogue is sharp, the characters are uniquely over-the-top, the plot is quick and tricky in that great early-Seventies way, and the story is enormously entertaining. If you buy only one HCC this year, make it Zero Cool. Triple Identity is Haggai Carmon's first novel. It is a financial thriller with doses of international intrigue, action, and trade-craft--as in barebones spy stuff. Dan Gordon is a Department of Justice lawyer who tracks large sums of laundered money that has cross ed the border. 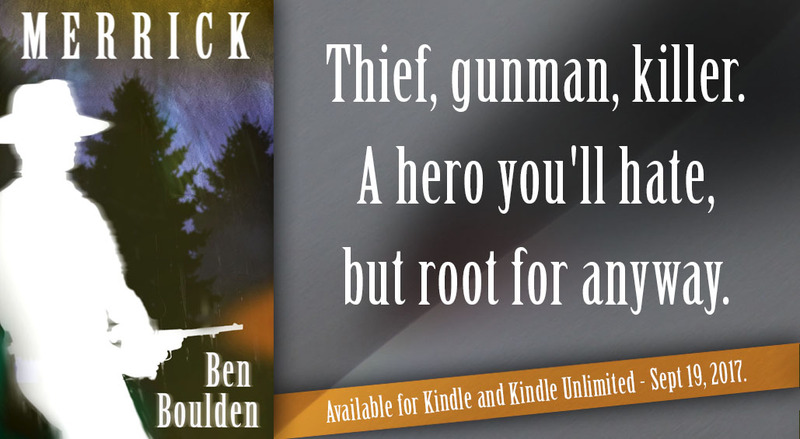 When the novel opens he is on the trail of ninety-million dollars that went missing from a failed California bank and it doesn't take long for Gordon to realize there is more to the theft than bank fraud. And when the CIA and Mossad enter the chase he has no doubt there is something sinister in the background. Triple Identity is an entertaining and interesting novel--some of the international finance is fascinating--that starts quickly, but falters slightly in the middle with too much backstory and not quite enough action. Fortunately it ends with a flourish and, overall, it's pretty fun. Winter of the Wolves is, by my reckoning, the last novel published by James N. Frey; it hit print in 1992. And it is an entertaining and exciting little spy thriller. Tom Croft is a burned out operative for the super-secret organization The Exchange. He walked away from the game a few years earlier and now he's trying to forget his past in upstate-New York. Unfortunately his former partner has gone rogue and The Exchange wants Croft to hunt him down and kill him. Winter of the Wolves is an extremely enjoyable novel. I guessed the ending in the third chapter, but it really didn't bother me. The writing is smooth, the protagonist is a tough-guy cutout that Frey gives just enough life to make interesting, the dialogue is crisp, and if you don't mind a journey you've probably experienced before it's really a pretty terrific read. I had a pleasant surprise a few months ago--Terry Arnston, the wife of the late author Harry Arnston, emailed me with a few tidbits about her husband and his work. We then swapped a few emails and I feel like I not only know Harry better as a man--he was always a disembodied email or bulletin board post to me as a teenager--but I also learned something about his body of work. Harry was a true artist. His technique and skill improved with each novel and I can only imagine where it would be today if he was still writing. And, very probably more importantly, he was generous to not only his fellow writers, but also to those who were unproven. In my recollection his posts were always kind and helpful. He always had a good word for a teenager--me!--who knew more about fantasy and imagination than the reality of writing and story-telling. Here is a sampling of what Terry wrote about Harry. Harry published nine books in a ten year period. Baxter's Coice, Death Shock, The Third Illusion, Trade Off, The Venus Diaries, The Warning, Body of Evidence (a novelization of the Madonna movie, which he hated with a passion), Act of Passion, and The Big One. Several [of Harry's novels] were optioned for film several times, but were never made. He was published in 14 countries; Japan, China, Lithuania, etc. He wrote one other novel, American Terrorist, but it was never published. I tried to sell it but no one was interested in publishing a deceased author; no more manuscripts to come and they felt the subject was too frightening--blowing up the capital in Washington D.C. Of course 9/11 hadn't happened. Harry was always prescient. He had a million stories in his head [and] never took more than two weeks off between books. One of his legacies was helping establish the Florida Chapter of Mystery Wrtiers of America, which honored him at the Edgar Award dinner. The other legacy was to me, and it was inspiring me and teaching me to write. I have published five books under the pen name Catherine Arnold. I had finished my first manuscript in 1995, which he edited and sold under a two book contract that was signed a few months before he died. The Catherine Arnold titles are: Due Process, Imperfect Justice, Wrongful Death, Class Action, and Journey. Ben here: I'm more impressed by Harry and his work each time I read one of his novels, and after corresponding with Terry that appreciation has skyrocketed. And damn how I would love to see American Terrorist in print. I've been reading and rereading a few of his novels over the past several months--I just finished his novel Trade Off and plan on writing a review when I find time--and they have each retained an impact that is still relevant. It would be great to see one of the paperback houses--maybe Leisure--put a few of his titles back on the shelves. And print American Terrorist while they're at it. The year is 1997. It is post-World War Three and two couples are driving to St. Louis in a convertible. Their destination: a night club to witness a "loopy" perform the Dance of the Dead. The group gleefully sings and chants; one member of the group has recently taken a class on pre-war comic books and a favorite line is, "I am Popeye the sailor man!" And as the story unfolds the Popeye chant gains an ominous and forbidding shade. The miles whisk by and it isn't long until the lovers find themselves in the club. The place is dark, crowded and unnerving. They find a table near the stage and the young men can't contain their excitement for the Dance of the Dead to begin, and once it does it is an experience the four will never forget. It is a performance that spotlights the nastiness, cruelty, and utter meanness that very often is humanity. Needle quivering at 130, two 5-mph notches from gauges end. A sudden dip! Their young frames jolted and the thrown-up laughter of three was windswept into night. Around a curve, darting up and down a hill, flashing across a leveled plain--an ebony bullet skimming earth. Mr. Matheson inserts slang with its definition throughout the story as a means of both defining the futuristic setting and showcasing the link between language and behavior. An example is the word struggle: n., act of promiscuous loveplay; usage evolved during WW3. It, struggle, is a word that very nicely describes the harshness of the futuristic world; loveplay is a struggle rather than a pleasure. "Dance of the Dead" is poignant--it says something about humanity, abuse and power. It creates an image of loneliness and desperation, but it is also a terrifically entertaining story that is both haunting and horrific. "Dance of the Dead" was originally published in 1954 and can currently be found in Richard Matheson's collection I Am Legend. It was recently translated into film as an episode of Showtime's Masters of Horror. The screenplay was written by Richard Christian Matheson and it was directed by Tobe Hooper. I'm fond of a quote I read somewhere years ago: I keep the story moving so quickly the reader doesn't have time to slow down and realize how poor the writing is. It is attributed--at least in my memory--to novelist Alistair MacLean and while I don't agree that his writing is poor, I definitely agree that his stories are thrilling, wild, and extremely fast. 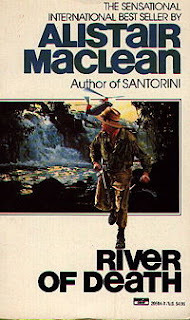 Mr. MacLean was a mega-bestseller in the Sixties and Seventies and was one of the first writers whose work really connected with me. He wrote sleek little thrillers that were long on action, loaded with dialogue, and populated with hard men that had a certain British sophistication that read just right. And none of the characters in his stories was exactly what they seemed; the bad guy was often not revealed until the final pages and it was usually a bit of a surprise. I try to read a novel or two of MacLean's work each year, but I've fallen behind the last few. So a few nights back I decided to make amends and pulled one of his later titles off the bookshelf and devoured it in a few sittings. The title: River of Death. River of Death is classic MacLean--two brutal and tough men playing a game that will end in the destruction of one and a mean victory for the other. It is populated with the usual: the wealthy businessman who is as comfortable in the shadows as he is in the boardroom; the mysterious stranger who is more than anyone estimates; and the strong but fragile woman who could bring down the house. It takes place in the deep jungles of Brazil and has a few twists, a heap of action, a mysterious lost city, Nazi gold, murder, genocide, and nearly everything else you can think of. And it does it all in 215 pages--and that's in mass market! River of Death is a great piece of escapist fiction. It took my mind off taxes, accounting, leaky windows, and everything else that keeps me awake at night. 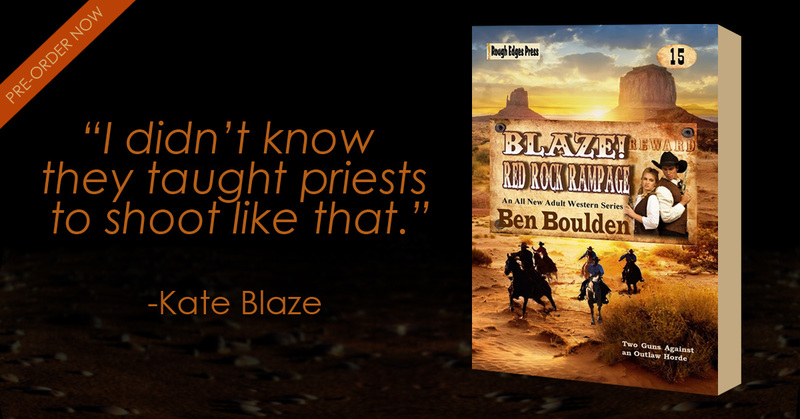 It enthralled me for a few hours with exhilarating action, suspense, and style. It is one of the last novels Alistair MacLean wrote--it's a common thought that his later work is inferior to his early stuff and I absolutely agree. It isn't nearly on the level of Where Eagles Dare, H.M.S. Ulysses, or The Guns of Navarone, but even with the lack of depth--characterization, sharper and more clever plotting, richer settings, and tighter prose--his earlier work had, River of Death is still pretty damn good. And it made me want to get all those other old MacLean titles down for another peruse. A NOTE: River of Death was made into a mediocre film in 1989 starring Michael Dudikoff, Donald Pleasance, and Roberth Vaughn. It was directed by Steve Carver. I rented this one as a teenager, and I really don't remember much about it except disappointment. But who knows, maybe it's better than my memory. 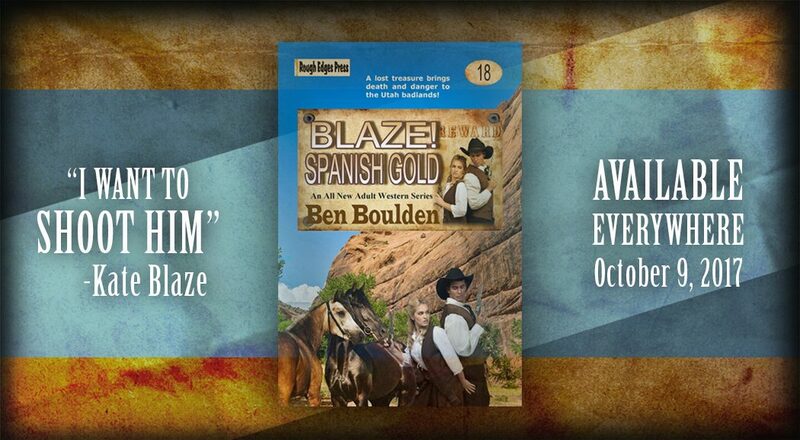 I’ve been passively—very passively!—scouting the Internet for book trailers and today I found one. It’s for Allan Guthrie’s latest novel Savage Night; you may remember him from such slam-bang modern noirs as Kiss Her Goodbye and Hard Man. And this trailer makes Savage Night look like a must read. The narration is in a thick Edinburgh accent so you may have to watch it twice—the first time to get an ear for it, and the second time purely for fun. Heck, watch it three times. I did. I have good news. Jack Ketchum has a new novel coming out from Leisure Books this May. It's title: Old Flames. And it looks like an original novel, not a reprint of one of Ketchum's earlier titles. Although I'm not certain. 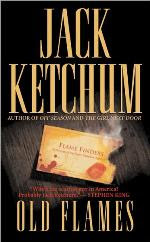 I've read all the Jack Ketchum novels I've been able to find, but there are a few I've had no luck with, so while the synopsis doesn't sound familiar it very well could be one of the two or three older Ketchum titles I've never laid eyes on. Either way, it sounds like vintage Jack Ketchum horror; the kind that feels real, like it not only could happen, but does happen every day.